Melon and watermelon season has officially started in the capital. It is considered that the best berries appear in Moscow in August. Before that, shops sell watermelons from Iran or Egypt, and at the beginning of August, the big berry ripens at the Russian south. The sweet symbols of summer can be bought in more than 200 watermelon markets throughout the city. Watermelons will cost at least 20 rubles per kilogram. Federal Service for Consumer Rights Protection and Human Welfare will check the quality of production and absence of nitrates in it. 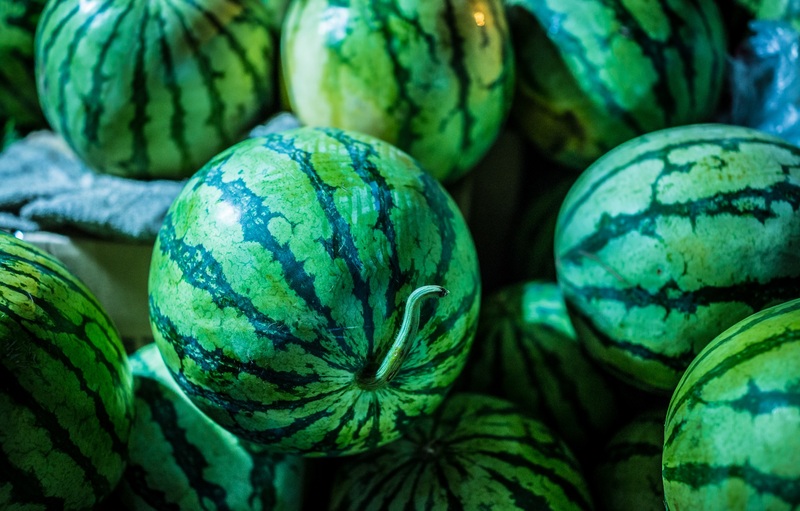 Watermelons come to Moscow from southern regions of Russia – Dagestan, Volgograd, Rostov, Astrakhan region, as well as Uzbekistan and Kazakhstan. There are several useful tips to buy the best and sweetest watermelon. Firstly, do not choose too large berries, to be sure that no chemical fertilizers have been used during cultivation. The optimal weight of a good watermelon is 5-7 kg. Experts recommend paying attention to the watermelon’s stalk: if the berry is ripe, its stalk must be dry and yellowish. Another traditional method of determining ripeness is tapping its sides – if the sound is hollow, the watermelon is ripe. Flattened shape of a berry, as well as a light spot at its green side usually indicates that it has sweet pulp.